Do you have a kitchen? Yeah? 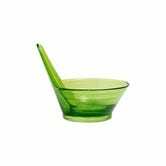 Then you should check out this one-day Amazon sale, featuring a grab bag of kitchen accessories from KitchenAid, Amco, Faberware, and more. You should head over to Amazon to check out the sale, but here are a few favorites of ours. 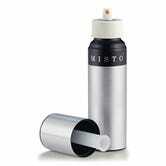 I own this Misto sprayer, which basically turns olive oil into an aerosol, so you don’t have to keep cooking spray around. 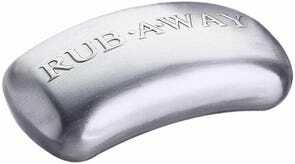 Amco’s Rub-a-Way bar is basically a block of metal shaped like a piece of soap, but it’s shockingly effective at neutralizing strong kitchen smells like garlic from your hands. 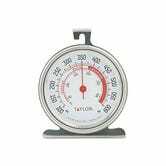 A classic for a reason, Taylor’s oven thermometer will ensure that you’re actually baking foods at the temperature you think you are. Everyone should own a pizza wheel. 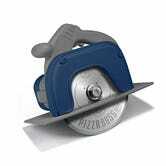 If it’s shaped like a circular saw, all the better. Hate removing herb leaves from their stems? Of course you do. This thing makes it way easier. 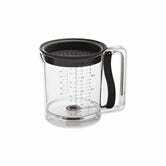 This container features a strainer on top to separate solids from your pan drippings, and a quick release escape hatch on the bottom for easy gravy access. 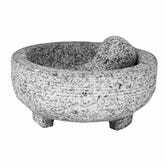 You can’t even think about serving guac to your guests that wasn’t mixed in a stone mortar and pestle, right? 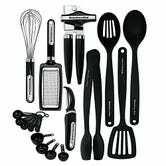 And if your kitchen gear is just in bad shape generally, you can replace the whole lot of it with this $28 KitchenAid accessory pack. We’ve barely begun to scratch the surface scrape the pan here, so head over to Amazon to see the rest of the deals before they overcook.